What does it mean to live "mindfully" and how do you do it? Mindfulness seems to be the rage these days. Many of us have questions on how to do it and if we are doing it "the right way". Randi Ragan of Randi Ragan's GreenBliss EcoSpa just might have the answer we need to lean into being more present with everything in our lives. 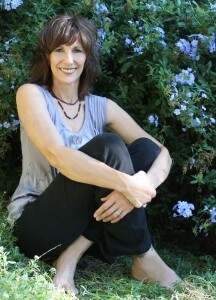 Holistic wellbeing expert Randi Ragan is the founder and owner of the award-winning GreenBliss EcoSpa, named one of Los Angeles' Top 10 Holistic Spas its very first year in business (2006). Prior, Randi was a yoga and meditation teacher at LA's top studios for 12 years, during which time she created programs for children, seniors, corporations, Hollywood celebrities, production studios and talent agencies, and private addiction recovery centers. She has led yoga and spiritual retreats in California, Mexico and Hawaii, and formed The Blessing Works, which specialized in the creation of customized healing ceremonies and rituals for its clients.